Chiropractic offers natural relief of chronic pain, headaches, disc disorders and personal injury cases. 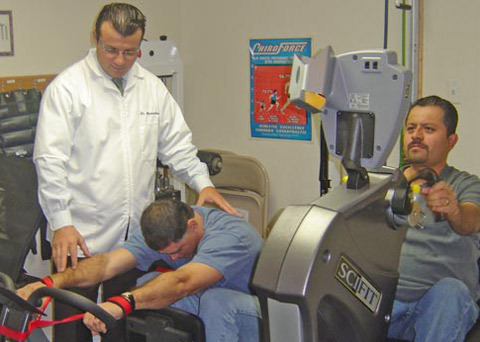 Chiropractors help teenagers, adults and seniors. 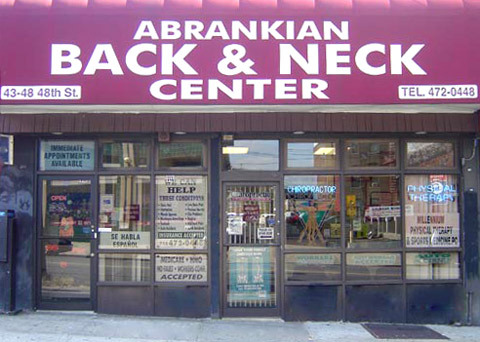 And health-conscious Sunnyside families choose Abrankian Back & Neck Center. 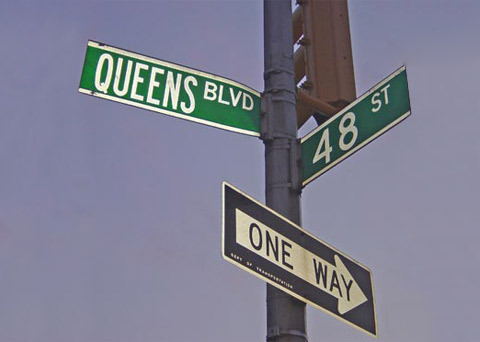 When you’re ready, call Abrankian Back & Neck Center to find a chiropractor who helps Sunnyside residents whether they want relief or wellness. Find out for yourself why so many of your neighbors already have. You can rest assured that after being in practice 24 years, we possess experience and knowledge you can trust. We look forward to partnering with you on your journey to health and wellness! Click the button to select your language! Click Here For Even More Video Testimonials! Great staff. Very attentive to detail. Made my visit very comfortable. Everybody was super nice and knowledgeable! Thanks! I want to thank all the staff for the excellent care I was given on my first visit. 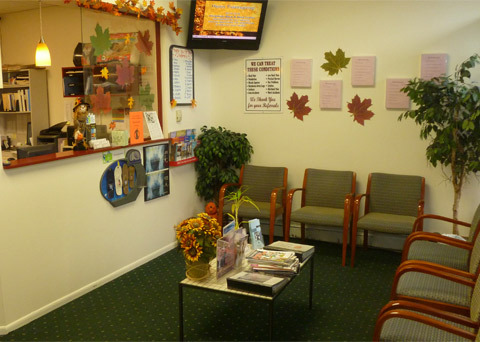 Each one gave me the best care and front staff very helpful with all paperwork and questions I had. I have confidence going forward and in continuing the phases of care, I will be pain free. Thank you! Very pleased with me first visit. The staff there was incredibly new ce and the doctor took his time and really listened to my issues and concerns. First visit, gave me a very good impression. Great practice! So glad to find such a great office so close to home! I cannot thank Dr. Abrankian enough for the care he gave me and the follow-up phone calls. If he did not continuously check up on me my situation could have been much worse. Thank you SO MUCH. I am very pleased and will be coming back again. Loved the little details such as having grip patch instead of the ties at the back of the gown. A little thing that means a lot. A clean and working toilet. The digital X-ray and the visual and the explanation of the problem and a plan of treatment. 2 visits thus far and my neck is so much better. Comfortable, Clean, Attentive & Friendly! I had a great first-time experience that is worth recommending to friends. I look forward to continuing my visits! better than i was feeling a week ago! Dr. Aliberti was extremely thorough and helpful during my visits. I would highly recommend others to visit this clinic! The staff members are also very nice and helpful. I can’t wait to be treated by Dr Abrankian! He’s a very good listener and a nice person. I’m not surprised why the yelpers like him a lot. The doctor was accurate in diagnosing and made sure to request x rays to follow with the appropriate treatment plan. I am very impressed with the care I received from you. I recommend you with all my heart to anybody who needs chiropractor care. Great service, wonderful staff. Quick, professional, detailed and knowledgeable. If you are reading this review and are in pain then you should not wait any longer. The staff was extremely helpful, and the doctor made me feel like I have been a regular patient for years. I should have went to Dr. Abrakian years ago.